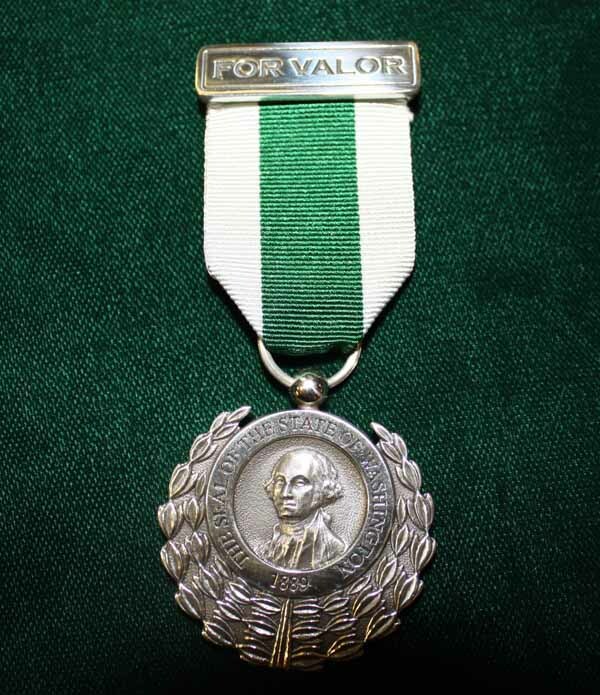 If you know somebody who recently saved a life or did something else heroic, you still have time to nominate him or her for the Washington State Medal of Valor. The nomination deadline has been extended until October 29 for this medal, one of the most prestigious honors presented by the people of Washington. Secretary of State Sam Reed accepts the nominations. Medals will be awarded at a Joint Session of the State Legislature during the 2011 session. The Medal of Valor recognizes individuals who have risked their lives or personal safety to save, or attempt to save, another person’s life. The Medal of Valor cannot be awarded to police officers or fire fighters, or others whose actions are a result of their public duties as a first responder. Those interested in submitting an application can visit the Office of Secretary of State or go here online. Nominations can be sent to: Office of Secretary of State, Medal of Valor Program, P.O. Box 40220, Olympia, WA 98504-0220.